When Samsung came out with wireless charging for its Galaxy devices a few years ago, it was some pretty cutting-edge stuff. The latest, greatest iteration of this technology? The Samsung Wireless Charging Pad, now available for 72% off from the TechnoBuffalo Deals Store. This handy pad is compatible with all Qi-enabled devices, including the Galaxy S6, Galaxy S6 Edge, and even the Galaxy Note 3. Just drop your phone on the pad without any need to tease a cable from your bag, and come back to a fully-charged device. This won't take long, either: the Samsung pad comes with high-speed charging technology that rivals that of any conventional cable charger. 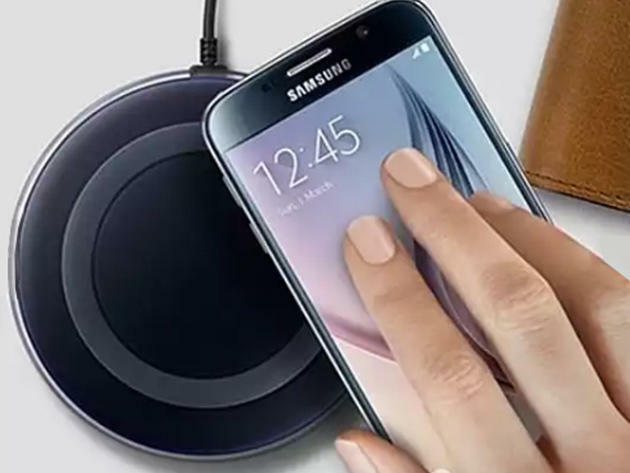 Grab the Samsung Wireless Charging Pad for just $18.99, or about $50 off the regular price. Be sure to act fast: this deal has proven super popular in the past, which means supplies won't last long.